-- 2 oz. 4 oz. The Pa'akai Cleansing Cream by Honua Skincare is a naturally scented daily face cleanser that imparts a look of even skin tone and tightened pores, while leaving skin feeling completely refreshed. Blended with Hawaiian salt, aloalo (hibiscus) and limu (seaweed extract), this cream cleanser cleans the skin without causing signs of irritation or dryness. 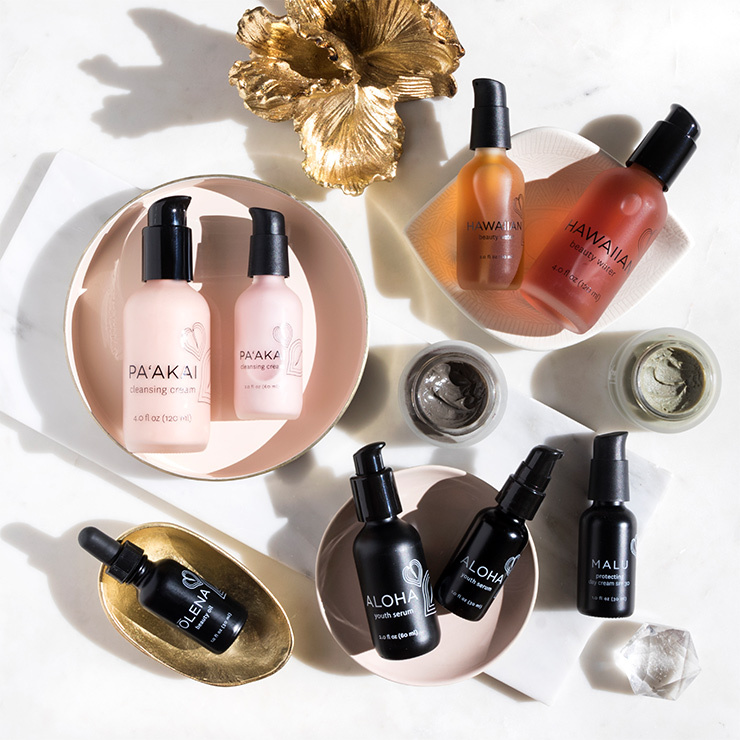 For an added boost, you can add a few spritz of the Hawaiian Beauty Water to 2 full pumps of the Pa'akai Cleansing Cream and create a mask. Leave it on for 15 minutes and wash clean for a bright and healthy looking complexion. Squirt 1-2 pumps of the Pa'akai Cleansing Cream in your hand and massage on to your face, add water to emulsify and rinse clean. To use as a mask, spritz some Beauty Water in 2 full pumps and leave it on 15 min once a week. The positives about this cleanser: - You get so much cleanser even if you get the smaller jar. Great value. - Again with the value. It’s more affordable than other brands without sacrificing quality. - The smell is quite lovely. - The packaging is beautiful. Negatives: - Defectuve bottle. Every time I would pump, a little would come up from the inside of the outer ring. This upset me because I wanted to keep more of this cleanser. - Preciously when I had an allergic reaction to something else, I couldn’t put on this cleanser without further irritating my skin. This is not much a negative but just wanted those with significant skin sensitivities to be aware. All around exquisite product. I received this cleansing cream as a Love More gift, and am thrilled with how it performs. I just moisten my hand, rub a few squirts into my skin, and gently massage it all over. It’s clean, refreshing, and removes all my makeup without stripping my skin. I’m a fan! This was a Love More gift and, indeed, I love it more than I had guessed. It takes very little, massaged onto damp skin, to leave skin feeling clean, fresh, and moist. It takes off my make-up, too. The only reason for 4 stars is that the pump was broken and I had to take off the cap in order to use the cleanser. I love using this as a deep healing and moisture mask in addition to using it as a cleanser. The salt properties really heal and bring out the best in your skin. You can also mix with a bit of the beauty water for an exfoliating and moisture mask as well. Love this multi-use product!